This user friendly poker tournament director allows you to setup and run high quality poker tournaments with a few clicks of the mouse in the convience of your home. 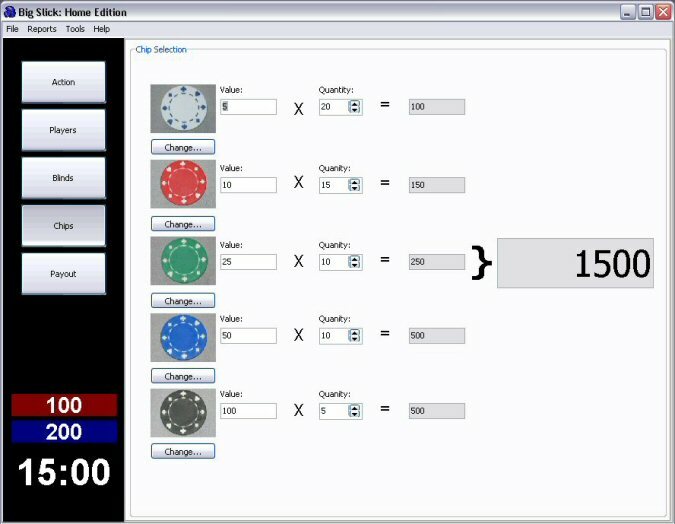 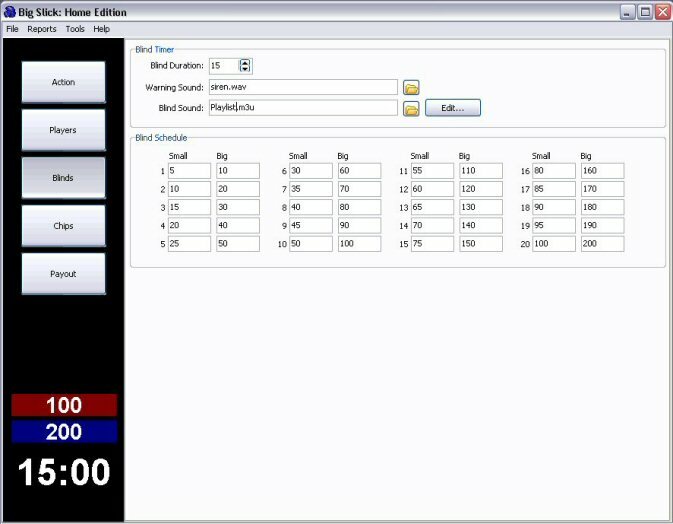 Big Slick Home Edition is the most user friendly texas holdem poker tournament manager on the market. 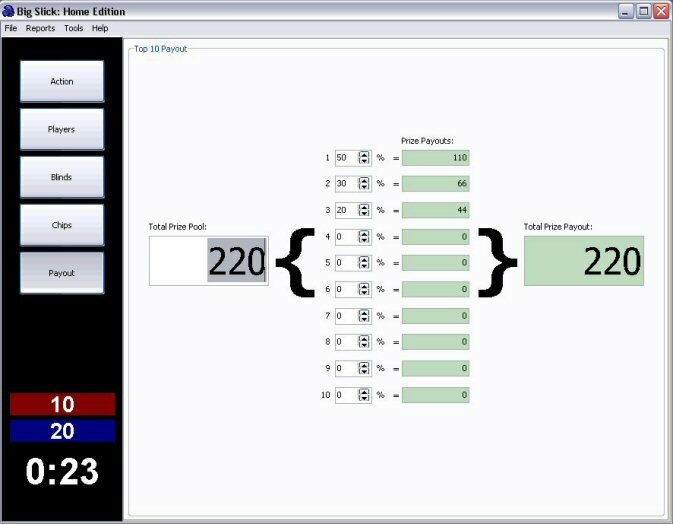 Software download once payment is received followed by an email with user name and registration code (within 24 hours). 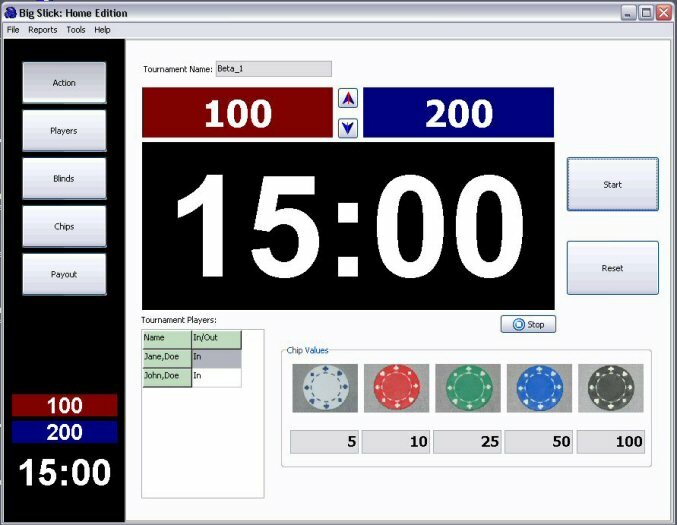 Free technical support to answer all of your questions, info@bigslickpokertimer.com.